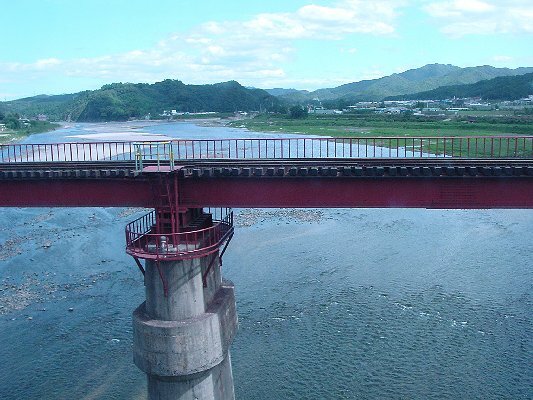 Advancing UN forces in April 1951 reached the Imjin River and its tributary to the east, the Hantan River. On April 7-8th, three companies of the 64th Heavy Tank Bn., Co. F, 7th Regt., 3rd Division, a unit that would be prominent at Boomerang in 1953, and C. L crossed the Hantan and occupied the peninsula formed by the confluence of the Hantan and Imjin. They overran Chinese teenagers and inflicted 300-400 casualties. This action was presumably to the west of the following series of photos, but the photos do show positions occupied by the 2nd and 3rd Bns. of the 7th Regiment. 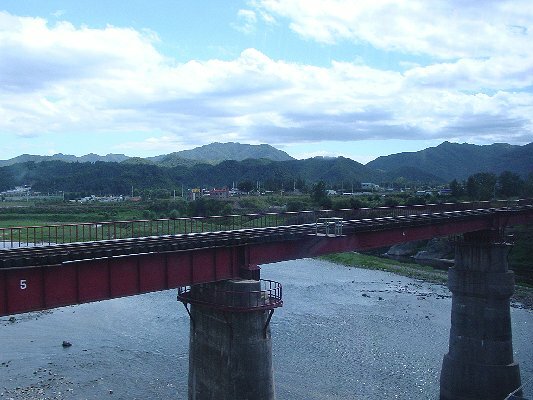 These following two pictures are looking east from the road bridge over the Hantan south of Chon'gong-ni. An article in a military journal mentions a patrol of the 3rd Division here in April 1951. The patrol tried to cross a railroad bridge from right to left but made too much noise. They moved east along the bank and eventually succeeded in fording just around the bend in the river, which you can see in the distance. On the north bank ( far left of picture ) they found unoccupied entrenchments and moved forward to the hill the town now covers and found it unoccupied. Looking southest. The hill just beyond the plain was occupied by the 2nd Bn., 3rd Division. 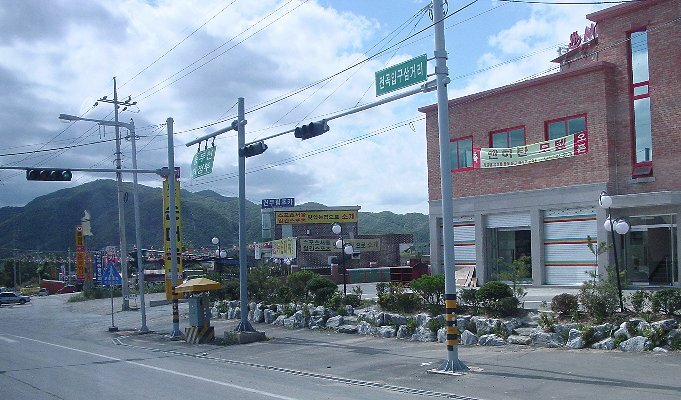 This is from the town of Chon'gong-ni looking southwest. The Hantan is between the town and the distant mountain. The 3rd battalion of the 7th Regiment occupied that mountain during the patrol.